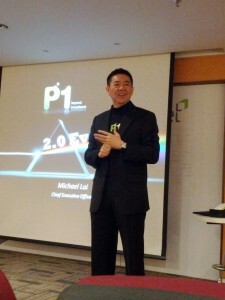 P1 had an event yesterday talking about P1 2.0 Evolution, their plan for the next 3 years. One of the most excited point for the consumer is P1 is going to provide P1 FTTH (Fiber To The Home) service to Klang Valley area in as soon as this month (March 2012). Assuming this is the result from the agreement within P1 and TM last year, I think P1 FTTH service will be available for those areas that have Unifi coverage. For me, this is very excited to see yet another FTTH provider in Malaysia and hopefully by doing so, the market will have more competition and bring better pricing and service to the customers. Other than that, P1 also state that all of their base stations are LTE ready, and they are able to flip the switch in a short period when government finally approve the commercialization of LTE in Malaysia. P1 reveal that P1 customer uses an average of 17GB of data per month as oppose to an average of 9.4GB of data per user per month for the whole Asia Pacific. Will be excited to see what P1 has to offer to their customer by the end of this month!